Sometimes…or have a lot of time on hand. Growth has no end or beginning. Change is constant with no restrictions, boundaries or cut offs. Inspiration comes from places least expected. There’s no logic to why things happen. Nothing happens at all to anyone. The way to win a battle is to walk away. Walking away leads to the battle. Dark, rainy grey clouds bring a smile. White cotton candied clouds make you sick. Screaming profanities at high volume is bliss. Echar de menos mí primo. I miss my aunt who is his mother. Echar de menos mí Tía Peggy la madre de mí primo. 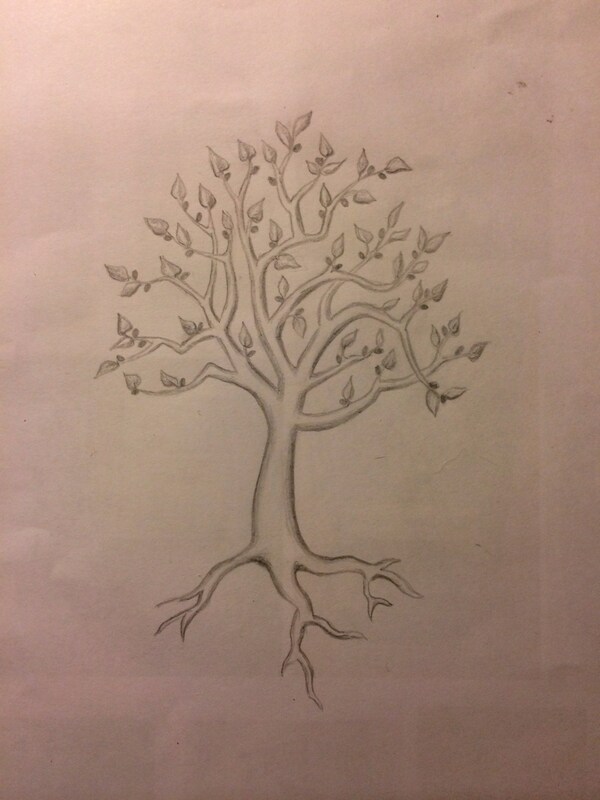 A tattoo drawing is now ready to be inked into my skin. Yes, another, and the design links the two, my cousin and his mother, both lives embedded in mí alma (soul). Mom, my mom’s family and their cultures, emotionally and physically have graced many entries to this blog. Truth be known, I know more of mom’s side than of Dad’s which may be a good thing. 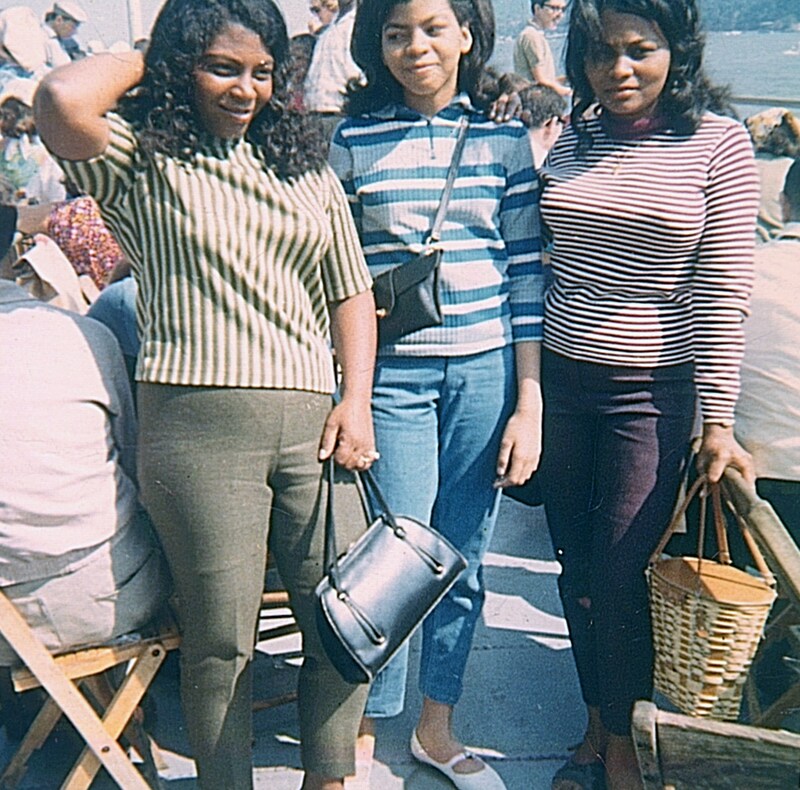 Mom’s family were in the states, easily accessible, familiar and close by, although not necessarily close (the warmy and feely kinda close) to each other. My aunt Peggy, mí Tía Peggy was my second mother during my early years at Berkeley Place, Park Slope, Brooklyn, when it was known as ‘the hood’ and hipsters did not exist. She lived on the third floor with my cousins. When I came into the world, I was named after mí Tía. Her husband, my uncle, mí Tío drove mom to the Brooklyn Jewish Hospital , because, well, Dad was at work. Childbirth back then had the Dads pacing in the maternity waiting room while their wives hemmed and hawed through childbirth in the delivery room. That, was, the protocol-back to the naming or my aunt. Mí Tía Peggy went by her nickname of Peggy. Her real name is/was Amada E***a. Since my Dad was not present at my birth, my uncle, mí Tío named me after his wife-the E***a part of the name and not the Amada. Why no name for the incoming or rather outgoing baby? Need to ask mom about that one. But, a name was given and the name became my own. Names are peculiar on mom’s side of the family for nicknames can take the place of real names and what once was thought of as a name, a real name, becomes the nickname. At times, it’s hard to remember that the nicknames are not the real names. Evie becomes Judy, Bernice becomes Nina, Amada becomes Peggy, Noel becomes Teddy…stop. I’m confusing myself right now and going way off topic. And, not everyone had a nickname and that includes me. 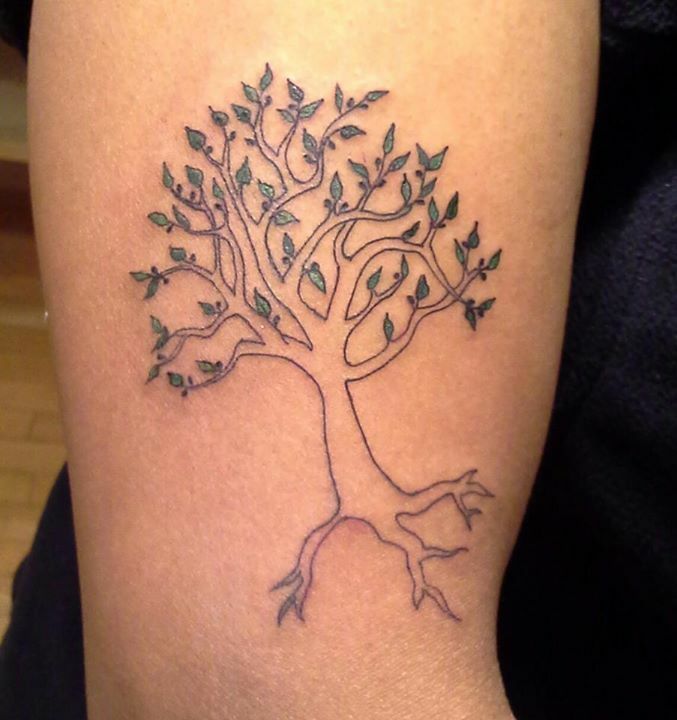 Tracing family roots was once an obsession for me, most especially during my studies toward the BA. Through searching, listening and relying on family oral stories, I was able to get the real names behind the nicknames as well as the towns in Honduras where aunts and uncles were born. As far as tracing people and connections, I realized mom’s family tree is a broken one. The roots of her tree exist but the branches, stretching long and thick in some areas and dangerously thin in others often led to dead end ends. Now onto the tree-the Mulberry tree. The Mulberry tree is a peculiarity in the ‘hood. Back in the day, neighbours often complained of these trees and hired tree cutters to remove them for their yards. Mulberry trees produce berries, lots of berries from dark purple to ruby red. These berries stain everything it comes into contact with. From white sneakers, to clothing to concrete sidewalks-if the berry touched, it left its impossible to remove stain behind. This tree and the berries hold a special place in mi alma because it reminds me of mi tia and my cousins. When we were young and cooped up indoors, on the third floor, due to rain or too hot to venture outdoors we made jam. Jam from the berries of the Mulberry tree, set on a stove, mixed in with Domino sugar and spread warm and soothing on Wonderbread-white bread before whole wheat, before gluten free, before…the inability to be a kid hanging with your cousins gave way to playing video games in front of a computer. Mí primos and myself would gather on the third floor fire escape and grab at the branches of the tree from the neighbouring yard plucking the berries bare from the limbs. We even devised a system of wrangling branches out of reach with a rope. My aunt was amazing with us in that she kept us active and intrigued. Bicycle riding in Ppark when it was Prospect Park, the park one did not venture in at night, visiting the Botanical Gardens before it became “the” Botanical Gardens with its fancy horticultural courses and fine dining. Anyway, the bottom line is I miss my cousin and the memories I have of his mother, my aunt, most especially in the house we were raised in, the house I am in now, which will always remind me that I come from not a broken family but a family that is strong, creative and alive. You talk too much, you worry me to death. You talk too much, you even worry my pet. You just talk, talk too much. You know who they are and avoid them whenever possible but most times, AVOIDANCE IS FUTILE. Imagine having one as a colleague who must be worked with in order to close that lucrative deal. Or worse yet, you live with one and the connection cannot be easily severed and frankly, you can’t complain about this because you knew about the talking too much beforehand. A person who talks too much is self-absorbed and fixated upon expressing thoughts and viewpoints, listening only to their voices. At times their words are harmless fluffs of letters and vowels. Other times, their words, especially the words which begin with capital letters are fueled by hate, feed off unhealthy gossip and revel in criticisms of the MOST NASTY KIND. Attempting to get a word or two in is impossible because a person who talks too much has an overwhelming amount of words to expel. Overdosing on one’s own words is possible although I have yet to witness it. After a hardy session in the company of a person who talks too much, when my ears are finally free and able to breathe, compassion sets in. I realize loneliness instigates the need to be heard. To be lonely and not heard is emotional damage. I make a thought promise to give more of my listening ears next time, knowing in truth, I will avoid that person at all costs. And I should know better. As a KID, I was a person who talked too much. Refusing to subscribe to the ‘children should be seen not heard’ train of thought, my mouth rambled on producing coherent and incoherent words which flowed from morning to night. Only sleep afforded my mouth rest. My demand to be heard was carried out regardless of feedback or television volume turned high. Granted, I was annoying but my motivation for talking too much was the result of abrupt life changes: parents’ separation, siblings marrying and/or moving out, and cousins moving to Jersey. These changes left empty slots on my social calendar. Social verbal exchange was greatly reduced-in other words, no one to hang around with or annoy. No one to spy on to later retell the events to another with acute attention to details while munching on a bag of Wise potato chips. As an ADULT, I do not talk much (I don’t) and maybe that is the reason I attract persons who talk too much. 1. feeling regret, compunction, sympathy, pity, etc. : to be sorry to leave one’s friends; to be sorry for a remark; to be sorry for someone in trouble. 2. regrettable or deplorable; unfortunate; tragic: a sorry situation; to come to a sorry end. 3. sorrowful, grieved, or sad: Was she sorry when her brother died? 4. associated with sorrow; suggestive of grief or suffering; melancholy; dismal. 5. wretched, poor, useless, or pitiful: a sorry horse. What does it mean to feel Sorry, to say you are Sorry or to write you are Sorry? If I say I’m Sorry do I admit guilt, admit I’ve done wrong? Am I trying to correct a grave mistake or pacify hysteria? Does it matter if Sorry is said immediately or two years later? 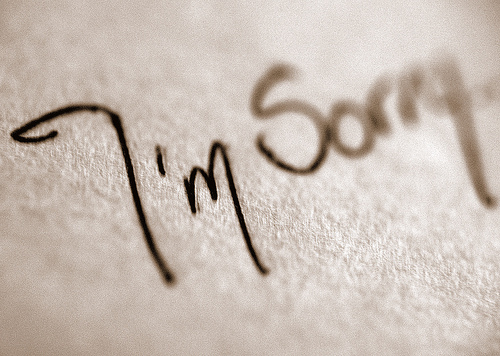 Sorry is said for loss, for someone else’s loss or when a physical or verbal slight is unleashed. I bump into someone accidently, I say sorry. I bump into someone on purpose, I don’t. I feel sorry for abused and/or neglected animals. I do not feel sorry for those who did the abuse and/or neglect. When I say I am Sorry, it seems as if redemption takes hold, the negative vibe releases and closure is complete. When Sorry is said to me, I forgive automatically (at least I convince myself I do) even though the residue of the slight lingers. Sorry can be complex or simple. One may have to repeat it several times for its effect to take place while others undo the damage in one take. “I’m sorry- I’m sorry too.” Did you say sorry because you meant it? Or out of an automatic response like in “I love you- I love you too. How about the “I’m not sorry” which opens up a new level of writing possibilities filled with vengeance and strife, great for a blog piece but not one I care to venture into-well just a sample.